There. That's all the Halloween spirit I can put forth. What's do you call the Scrooge or Grinch of Halloween? I had a few of these left, by the way, because I made more to have stock last weekend, then didn't get to do the event because of the flooding. Anyway, that's beside the point. I'm not a Halloween person. It's not some big religious objection. It's may be that as a kid, we maybe went trick or treating at 5 houses, and my mom only bought me one costume that I remember wearing in both kindergarten and first grade. Strawberry Shortcake. Today, I went along with the fact Mom wanted to go over to Canton for First Monday Trade Days. I really did want to stay around home and finish some projects. Instead I did go and find some good deals on MDF shapes to use as patterns and some hanger hardware for product. I definitely did more walking than I've done in a while, so my hips ache. As we got back into town, and turned onto my street, there were a lot of cars on the street (some you had to dodge for erratic driving) taking kids around to trick or treat. Most of which were not people who lived in the neighborhood. Maybe if kids just went around their neighborhood, I wouldn't care so much. I'm of the opinion if you're that hard up for candy that you take kids around by the trailer load to other parts of town, just go hit up Walmart tomorrow for half price since they'll be putting out the Christmas candy. Often times, the kids are too old to be trick or treating too. At least that had been a problem around here. I'm the person most likely to turn off all her lights and sit in the dark watching TV so that no one dare knock on the door. I think I will go look for half price chocolate and candy corn when I have to go get milk at the grocery store tomorrow though. 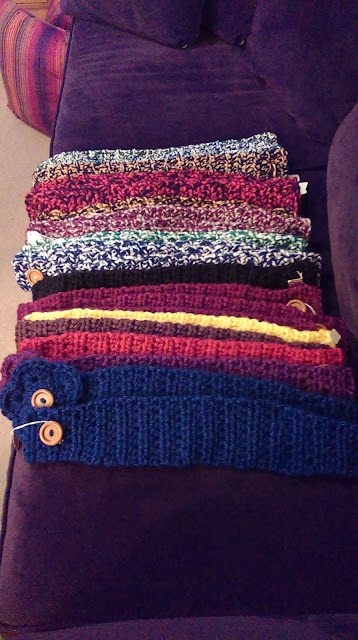 You remember how I keep posting pictures of all the bags of yarn I've bought. I can't exactly say I've made a dent in using it all, but I do have a stockpile of product started. I don' think you can really tell how many headbands/ear warmers are in the picture below. I couldn't keep up last year, so I'm ready this year. Now for it to get cold. The dream world and the waking world bleed into each other when a rift is formed between the two in the third installment, The War for the Waking World, of Wayne Thomas Batson’s Dreamtreaders trilogy. It’s up to Archer and his fellow Dreamtreaders to race to reverse the rift before too much damage is done and to battle Archer’s ex-best friend, Kara, who sits on the throne of the Nightmare Lord. Kara is building an army of her own. Will Archer be strong enough to stand against her? In this fast-paced conclusion to the exciting fantasy trilogy, the dream world and the waking world bleed into each other when a rift is formed between the two. People in the real world suddenly find their waking lives resemble their wildest dreams. Now it’s up to Archer and his fellow Dreamtreaders to race to reverse the rift before too much damage is done and to battle Archer’s ex-best friend, Kara, who sits on the throne of the Nightmare Lord. Kara is building an army of her own. Will Archer be strong enough to stand against her? Wayne Thomas Batson is an American writer. He has been married to his wife, Mary Lu, for seventeen years and has four children. He currently works as a teacher at Folly Quarter Middle School teaching sixth grade English language arts and is the youngest of four children. His most recent series, “Dreamtreaders” published by Thomas Nelson Inc (2014), is a modern-day paranormal YA adventure dealing with the subject of dreams. Find out more about Wayne Thomas at http://enterthedoorwithin.blogspot.com. Ten-year-old orphan Mu thinks he’s unwanted and unloved—but everything changes the day he meets a chameleon in J.A. Myhre’s A Chameleon, a Boy, and a Quest. Together they will embark on a quest, and what a quest it turns out to be! Mu faces danger and finds unexpected allies as they journey through a fascinating and ever-changing landscape. Don’t miss this page-turning children’s action and adventure story set in a fictional African land! Mu, a ten-year-old orphan, has lived his entire life in the heart of Africa. For as long as he can remember he has served in the household of a great-uncle where he is unloved and ignored. In his drudgery-filled life, Mu has little hope of happiness, and little hope that anything will ever change. But one day, everything does change. On his way to draw water one morning, Mu is astonished when a chameleon greets him by name and announces that they will embark on a quest together. And what a quest it turns out to be! Mu faces danger and finds unexpected allies as they journey through a fascinating and ever-changing landscape. A Chameleon, a Boy, and a Quest blends magical realism with a compelling story. 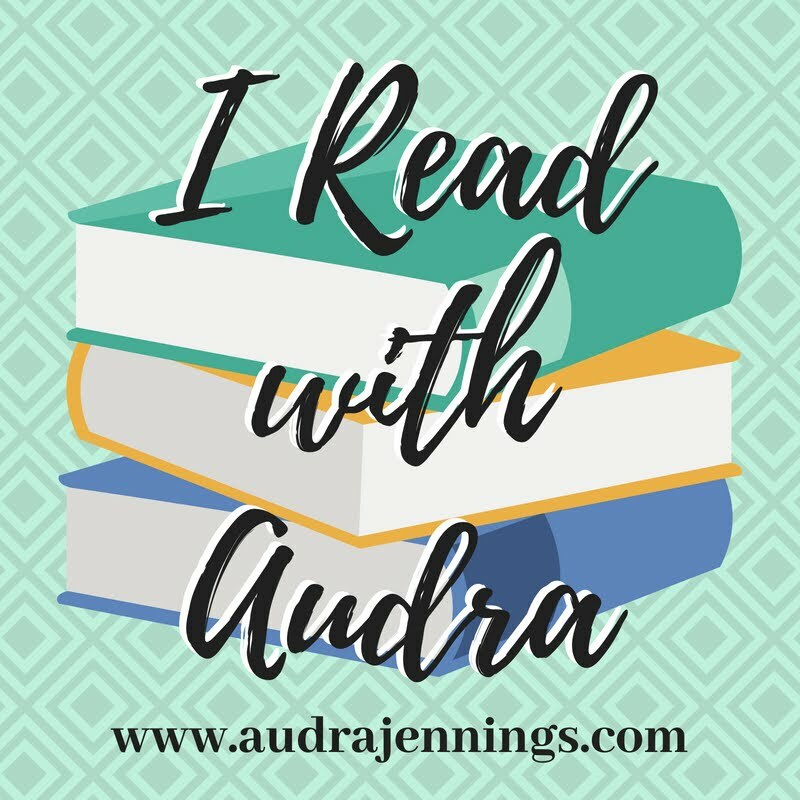 The exciting story line combines an orphan’s journey to find a home with the plight of child soldiers and the dangers of the Ebola virus and, along the way, highlights universal themes of integrity, loyalty, faith, and love. Written by long-time medical missionary J. A. Myrhe, the artful story is laced with subtle gospel themes and handles cross-cultural issues with grace and sensitivity. Kids will encounter good and evil and learn the truth about hope, happiness, and what it means to be human in this page-turning first book in a new series. What if the main character in our life story isn’t us, but it is the God who became like us and is now with us? Don’t miss this new 52-week devotional by Kristen Hatton called Get Your Story Straight. Divided into three parts, each section progressively explores the idea that the whole Bible is the unfolding story of Jesus. Through this grid, who Jesus is and why we need him will shape your understanding of freedom and grace and how you grow to be like him. This yearlong study for teenagers and young adults is designed for individual devotional times, but a small group discussion guided by a mentor would help participants to absorb and live out the truths of each week’s teaching. We all tell stories to each other–stories about what happened when we were kids, stories about last night, and stories where we dream about the future. Some stories are funny, some are amazing, others are sad, but they all have something in common–each of us is the hero of our own story. Our thoughts, feelings, hopes, and dreams take center stage. But when it’s all about you, it’s also all up to you. You have to make life work, find meaning, and hope for the best even when you mess up or things go badly wrong. But what if we were made for something different? What if the main character in our life story isn’t us, but it is the God who became like us and is now with us? What if being fully human means knowing him and growing to be like him? What if the way to be fully alive is to be caught up in Jesus’s story? This 52-week devotional book and small group resource is designed to help you live with Jesus in his gospel story–the good news that your sins are forgiven, your future is assured, and following him is the only meaningful way to live. No matter your age, where you live, who your family is, or what your past, God wants you to experience the freedom that comes in being secure in his love. Divided into three parts, starting with creation, each section progressively explores the idea that the whole Bible is the unfolding story of Jesus. Through this grid, who Jesus is and why we need him will shape your understanding of freedom and grace and how you grow to be like him. This yearlong study for teenagers and young adults is designed for individual devotional times, but a small group discussion guided by a mentor would help participants to absorb and live out the truths of each week’s teaching. Kristen Hatton is a native Texan now putting roots down in Edmond, OK with her church-planter/pastor husband and their three children. With a public relations background from Southern Methodist University, Kristen has a wide array of professional experiences, none of which she counts as important as the job of being a “present” mom. Through leading a small group Bible study of teenagers, she has discovered her passion for teaching and writing about God’s grace. Find out more about Kristen at www.kristenhatton.com. After going to the Texas Country Reporter Festival in Waxahachie for years, this year, I was so excited to be going this year as a vendor. We paid the big booth fee knowing how many people come. Huge for us. We ended up with a white tent, a requirement. Were all set and ready to go. I even ordered a pair of rain shoes because I hate my feet getting wet. Thankfully it was my within my last week of Amazon Prime so that I could get them right away. Then came Hurricane Patricia with a big helping of my awful luck. The biggest hurricane ever recorded in the western hemisphere pushed rain right over our area of Texas. 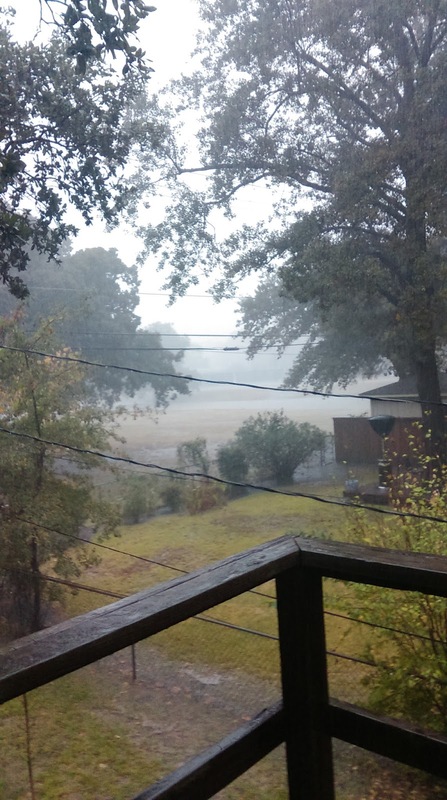 As of this morning, Corsicana had gotten 18 inches of rain. It rained all day long yesterday. All night long. Cars were stuck on the interstate highway at 2 PM yesterday and some of them were stuck all night. Yesterday, the highway was closed and open and closed, then closed both directions north and south of town. We knew we couldn't get up there last night to set up. At 4:30 this morning we were up and talking on the phone. The highways were closed again. We would have to be totally set up by 8:30. There wasn't a chance of getting the 40 miles up the road. Let me add in here that I was almost asleep at 10:55 PM knowing I had to be up way early when I got a "non-emergency" phone call from the Navarro County Office of Emergency Management about water going through a gate on a dam. I was at that almost asleep point where sudden noise scares the crap out of you. I was trying to calm my heart rate, then for an hour or more I felt every breath I took in and out consciously. I was awake and asleep again numerous times. The highway has been opened and closed throughout the day today too. Yes, I realized all along it was rain or shine. They kept saying rain or shine. Yes, I signed the paper acknowledging no refunds. Money was invested on their part, but there was no contingency plan on their end. In my mind, and from what I have seen from 14 other vendors that were not able to make it, there's a difference between rain and flash flood. At least apply our fees towards next year. We're all doubtful. I can't believe Ellis County or the City of Waxahachie didn't have come kind of logical and reasonable say in the event being cancelled or postponed for safety reasons, even if they didn't get as much rain as we did here. All around there was flooding. Although I have emails into them and left messages on Facebook, no one is replying over the weekend. I have been obnoxiously tagging them on social media stating that I was unable to travel there through no fault of my own. One time I even used #turnarounddontdrown. I'm pretty sure they may find me so annoying they wouldn't dream of approving my application next year if I decide to apply. I don't truly mean to be, but I'm in public relations, and my job is to try to catch the attention of others. I'm not sure if they have seen my posts or the posts of others, or even care. It's so disappointing. I had so been looking forward to it. Even if we had been able to get up the road, we wouldn't have been able to keep our product dry all day long. 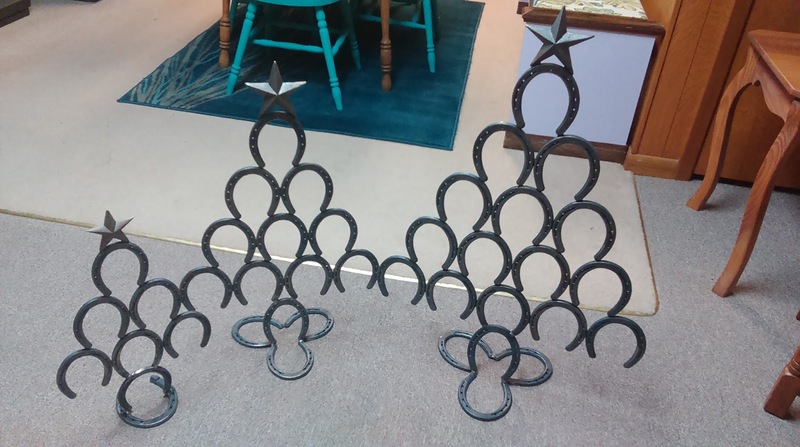 We would have come back with ruined pieces and rusted horseshoe Christmas trees. After this post, I will do my best to stop whining about it. Speaking of horseshoe Christmas trees. These were the hottest item at last week's show. I need to put the Christmas balls on them and repost pictures. Things ain't nobody got time for... this much rain. The creek that is full right there in the picture looked like a raging river. 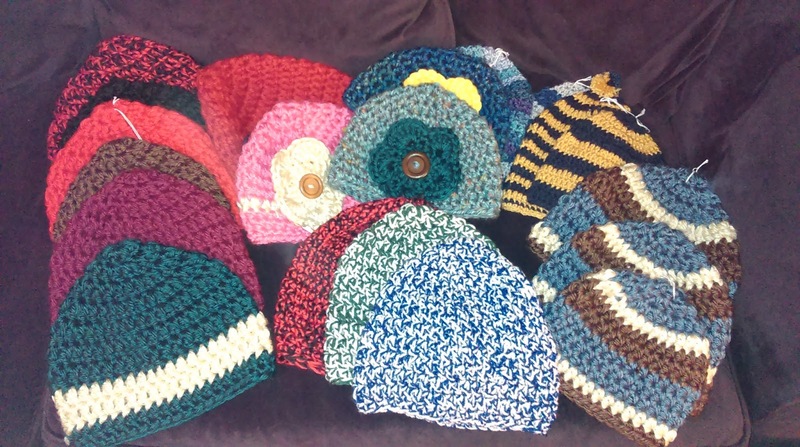 What does friendship look like in the midst of changing life seasons, loads of laundry—and even cancer? Kara Tippetts and Jill Lynn Buteyn teamed up to write Just Show Up, a story of their close friendship and walk through Kara's battle with terminal cancer. Whether you are eager to be present to someone going through a difficult time or simply want inspiration for pursuing friends in a new way, this eloquent and practical book explores the gift of silence, the art of receiving, and what it means to just show up. Enter today by clicking the icon below. But hurry, the giveaway ends on October 23rd. 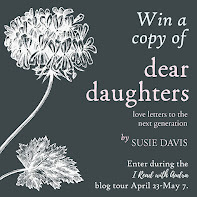 The winner will be announced October 26th on Jill's blog. Is one of your friends going through a tough time—maybe you need some encouragement? 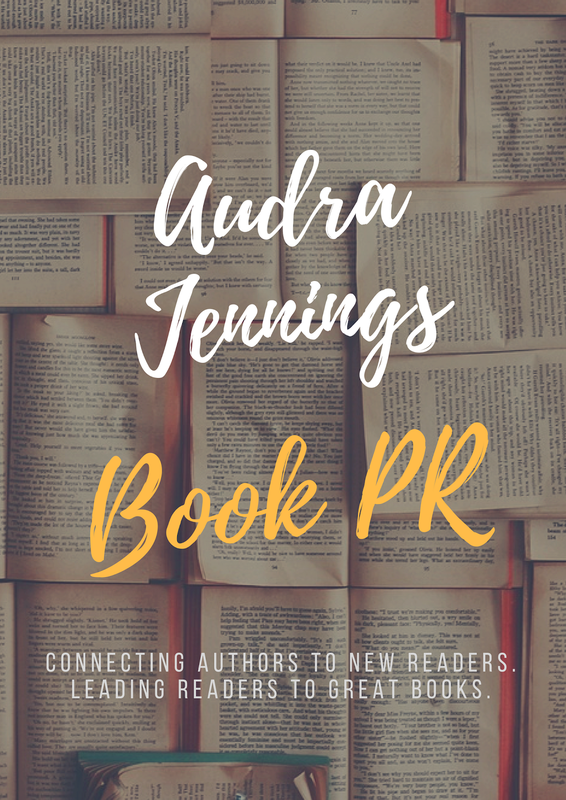 Stop by Kara and Jill's author page, click on the reviews bar, and read through some bloggers' stories of how their friends got them through suffering. The late Kara Tippetts was the author of The Hardest Peace and blogged faithfully at mundanefaithfulness.com. Cancer was only a part of Kara’s story. Her real fight was to truly live while facing a crushing reality. Since her death in March 2015, her husband, Jason, is parenting their four children and leading the church they founded in Colorado Springs, Colorado. Jill Lynn Buteyn is the author of Falling for Texas, an inspirational novel, and a recipient of the ACFW Genesis Award for her fiction work. She has a bachelor’s degree in communications from Bethel University. Jill lives near the beautiful Rocky Mountains with her husband and two children. Find out more about Jull Buteyn at http://jill-lynn.com. Parents often experience a "freak out" moment when they realize their children's view of God will primarily come from what they learn at home. Most parents spend more time helping their kids succeed at academics or athletics than infusing shared spiritual experiences into the rhythm of everyday family life. 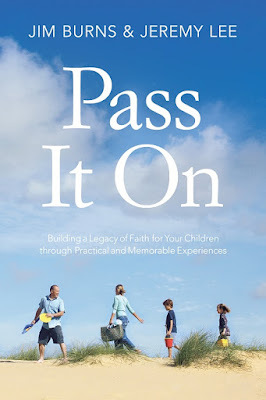 While the idea of strategically passing down our faith can seem intimidating, the annual Rites of Passage Experiences contained in Pass It On (David C Cook/ September 1, 2015/ISBN: 978-1434709073/$15.99), make it easy for families to celebrate milestones from kindergarten through high school graduation. Q: Why do you think some parents place more emphasis on grades or athletics than spiritual development? 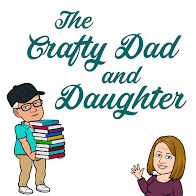 Burns: I think parents do want to help their kids grow spiritually, but they are often caught up in busyness of life, which distracts them from the main goal of faith development. They mean to, but they just don’t get around to it because of the breathless pace of life in which the American family is living. 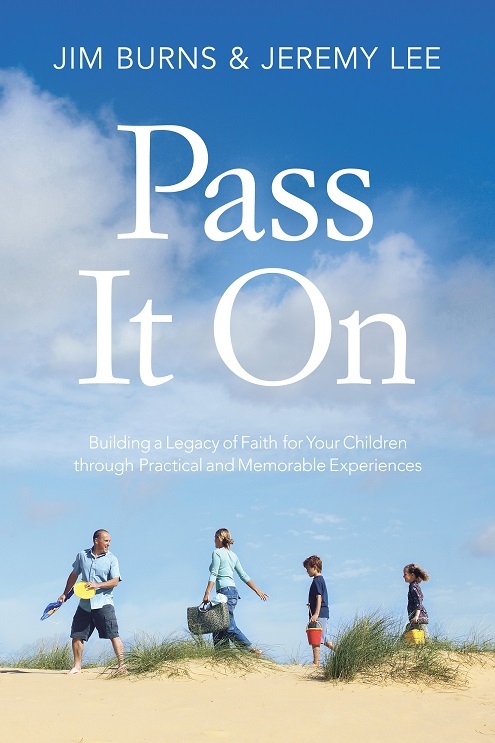 The Pass It On experiences give parents an easy opportunity to build into the spiritual formation of their family. Lee: It’s easier to put an emphasis on those things because there’s a clear action parents can take to help their child improve. If I want my child to grow academically, then I can hire a tutor. If I want my child to grow athletically, then I can hire a private coach. If I want my child to grow spiritually, I can’t hire someone to do it for me. I can’t outsource the spiritual development of my child. Spiritual development is subjective and not concrete. One of the ways we want to serve parents with Pass It On is to help give them concrete, shared spiritual experiences they can lead their child through. It gets them started with spiritual leadership in their home. Q: What is a rite of passage, and how does it help a child internalize a truth or lesson? Burns: It’s simply celebrating a milestone in the life of a child and family. Sometimes a rite of passage is very spiritual, and other times a rite of passage is getting a driver’s license or learning to tell time. By celebrating rites of passages along the way, it keeps faith present in the basic aspects of life. Lee: A rite of passage is an invitation to something greater than yourself. It’s crucial for all cultures to extend an invitation to things such as family and faith. In my opinion, it’s one of the reasons our culture is struggling. The most common rites of passage in our culture are a “sweet 16” birthday party and/or the loss of virginity. Those aren’t invitations to something greater than themselves; those are invitations to themselves. When parents invite their kids to faith through rites of passage they are helping their child connect to God’s greater story. Q: Would you describe one of the rites of passages Pass It On encourages parents to experience with their kids? Lee: I think my favorite one is the manhood/womanhood ceremony in the 12th grade. It’s actually the one that inspired everything. I was invited by a dad to his son’s manhood ceremony. His son was turning 18, and the dad had invited a group of men to come and teach him what a man of God looks like. The dad then asked his son to kneel down as he went to the closet, got a Braveheart sword he had ordered off the Internet and laid it on his son’s shoulder. Then he said, “Son, I have friends who are 30 and 40 years old who act like boys because no one ever told them they are men. I’m telling you tonight that based on the authority given to me by God as your dad, you knelt down as a boy, but you will rise as a man.” Can you imagine what that son must have felt in that moment? He was unleashed into the world with his father’s full blessing and a clear understanding of what a man of God looks like. - Honor God with their bodies. - Renew their minds for good. - Turn their eyes from worthless things. Q: Can you share a story of how you’ve celebrated one of these rites in your own family? What feedback have you heard from your children about the practice? Burns: Cathy took each of my daughters away for their celebration of purity. She took them to a nice dinner, bought them an outfit, stayed at a fun hotel. During that time, she read them part of a book on purity. Each daughters’ reaction was different. Christy loved the information and dialog. She engaged. Rebecca told Cathy what she was reading was “totally inappropriate” and to stop reading. Heidi, our youngest, told Cathy that she wanted to go on the outing to get the food, outfit and stay in the hotel, but her sisters had already filled her in on all the juicy stuff in the book! I also took each daughter on an overnight before they could go on their first date. Amazing memories and incredible conversation. It’s all about memories and traditions. Lee: I’ve loved every time I’ve gotten to lead one of my children through a rites of passage experience. My boys are 10 and 7, so I’ve focused on the elementary years. I guess my favorite so far was the second grade rite, which is called “An Invitation to the Bible.” This is where you invite your child, who should be a budding reader at this point, to engage with the Bible in a more meaningful way. We bought my son Campbell a red Bible that had a big lion on it. It was awesome! Our family and friends underlined their favorite verses in the Bible, and then we presented it to Campbell. That night when he was going to bed he went through the Bible sharing with us everyone’s favorite verses. Even today, he treasures that Bible. Q: What about families who are getting a late start? Is it too late to build a legacy if your kids are in their teens already? Lee: It’s never too late. It’s always better to do something rather than nothing. I tell parents to begin right where you are. For some parents you may have to begin with an apology and a promise that your spiritual involvement will increase in your child’s life. Also we encourage parents to feel free to change the order of the rites of passage or adjust the whole thing as needed for their family. The whole purpose of this book is to inspire parents to lead their children spiritually. If they feel inspired to do something differently or better, then we have done our jobs. Burns: It’s never too late and never too early to begin. Pass It On works at any age. Begin the process wherever you want, and grandparents can always lead the way by doing this with their grandkids. 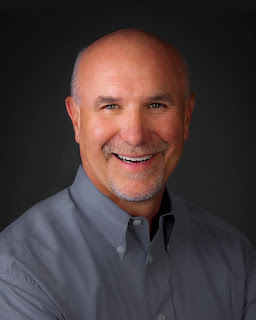 For more information about Jim Burns, visit www.homeword.com or follow him on Facebook (Homeword) and Twitter (@drjimburns). To keep up with Jeremy Lee, visit http://jeremylee.me or follow him on Facebook (yojeremylee) and Twitter (@yojeremylee). Theology is brought to life for young people in the new book The Ology (New Growth Press/October 19, 2015/ISBN: 9781942572282/$29.99), penned by celebrated children’s author Marty Machowski, with stunning illustrations by Andy McGuire. The book begins with a tale sure to draw in every young mind: In the cellar of an old stone cathedral, two children discover an ancient book that ushers them into a story of adventure, mystery and wonder. Together they discover life-changing truths about God, themselves and the world around them. The Ology arrives during a time when society is presenting many values that run counter to how Christian parents want their children to view the world and themselves. It’s never been more important for kids to grasp important topics such as how God created Adam and Eve in His image — that they were the first husband and wife, the nature of sin, and our need for salvation. An early understanding of these important spiritual concepts will begin to build our children’s worldview during the critical formative years. The Ology is also unique in that it includes built-in adaptations that make it captivating for younger kids while still stimulating for preteens. 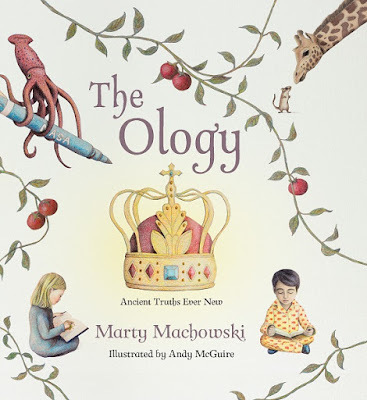 The book is subtly layered; from McGuire’s beautiful colored pencil-over-watercolor pictures, to the Bible references sprinkled throughout and the study guide in the back with probing questions, the book can be enjoyed and explored by the whole family. Even moms and dads will benefit from this easy-to-understand, step-by-step explanation of God and how he relates to all of us. 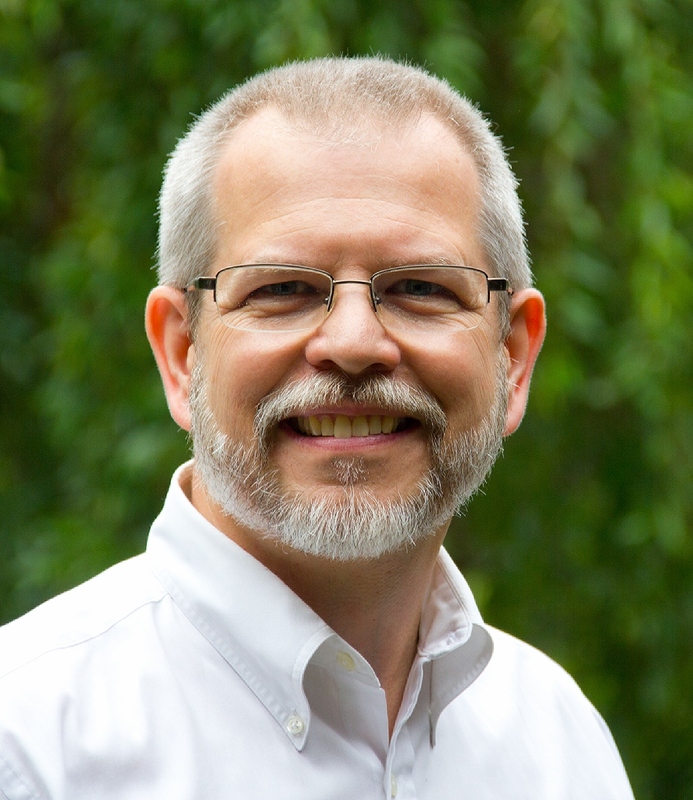 Marty Machowski is a family life pastor at Covenant Fellowship Church in Glen Mills, PA, where he has served on the pastoral staff for more than 20 years. 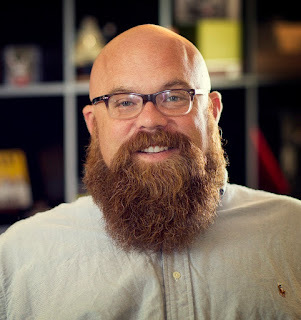 As leader of their children’s ministry, Promise Kingdom, he has worked for many years to develop kids’ Bible curriculum and devotional material that connect church and home. His passion is equipping families to understand the Bible as one gospel story and help them share that with their children. He is the author of the Gospel Story for Kids series, which includes The Gospel Story Bible, Long Story Short, Old Story New and the Gospel Story Curriculum, as well as the Advent devotional and curriculum Prepare Him Room. Machowski, his wife, Lois, and their six children reside in West Chester, PA.
For more information about The Ology, visit www.newgrowthpress.com. Also visit Marty Machowski’s online home at www.martymachowski.com and follow him on Twitter.